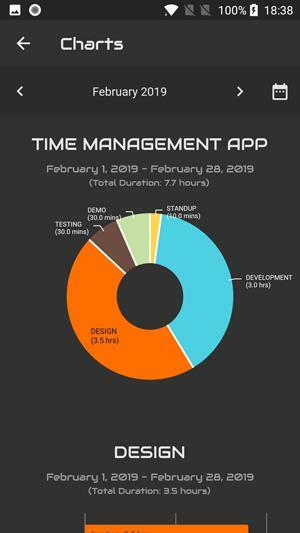 In this short article we are going to show you, how Agile Log can help you time manage your project. 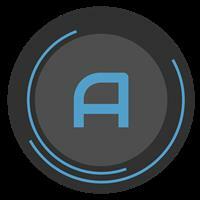 Open the right-hand side menu by tapping the icon from the home screen and select Add Project. Fill in the required details and click ADD. 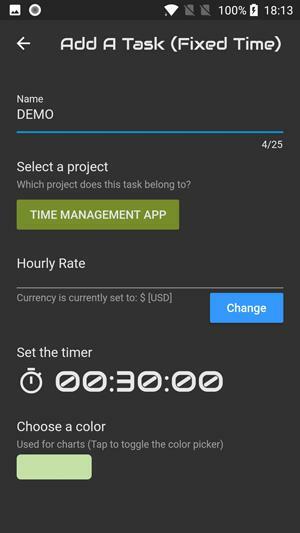 We will name our project “Time Management App”. It should look like this once the project is created. Now that the project is created, we will go ahead and add 3 tasks: Development, Design and Testing. From the right-hand side menu, select Add Task and fill in the required details. We will repeat this step until all three tasks are created. 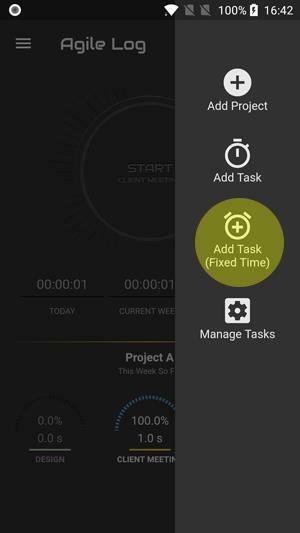 * Select a different color for each task, so that it can be easily identified later. 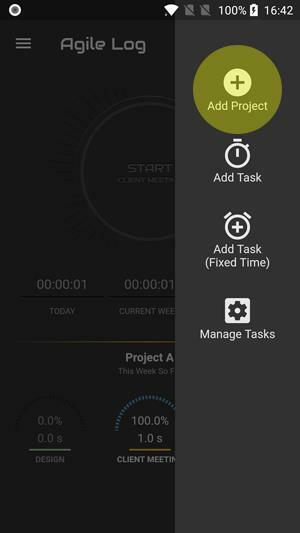 * If you have the Agile Pro version, you will be able to set your hourly rate for each task as well. 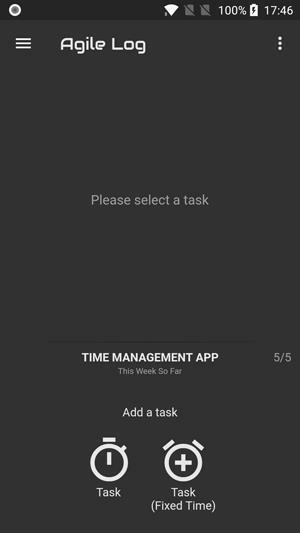 Fixed-time tasks are helpful, if we want to limit how long a task should take. 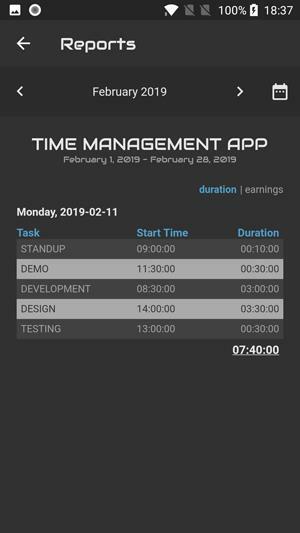 In this example we will create two time-boxed tasks: StandUp and Demo, and we will limit the time to 10min and 30min respectively. 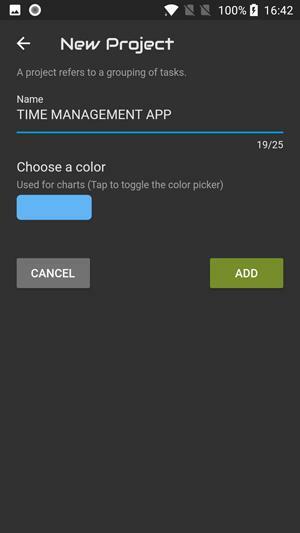 From the right-hand side menu select Add Task (Fxed Time). And once again we will fill in the required details. That's it, now you are good to go. 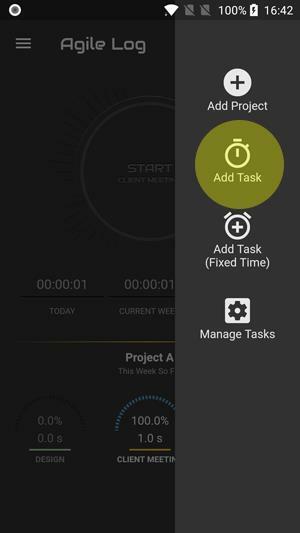 By default Agile Log will show stats for all tasks. 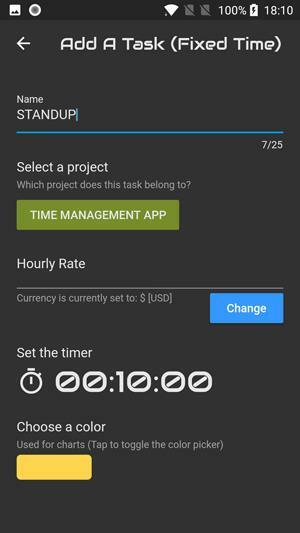 You can however choose to only show stats for a specific project. 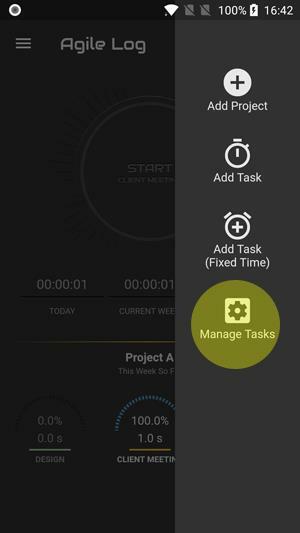 From the right-hand side menu, select Manage Tasks. 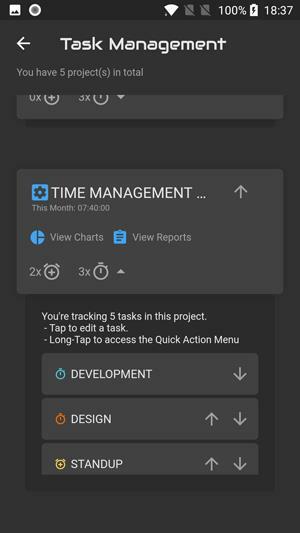 From the Task Management screen, locate the project you want to view. 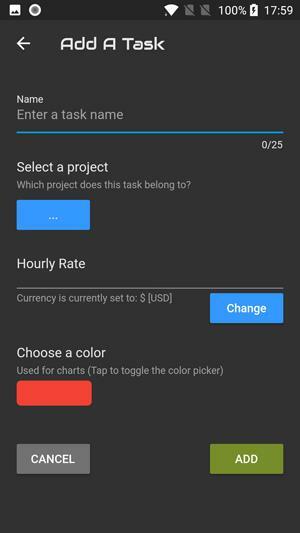 Choose either View Charts or View Reports to get more information about your project. Below are a few examples we have created.